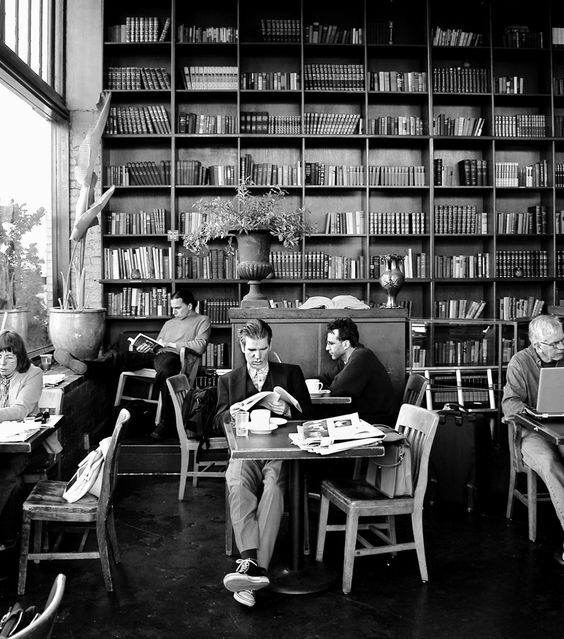 In every city or community around the world, the cafe/coffee shop is place for gathering with friends or colleagues, catching up on daily reading, playing games, engaging in the art and music culture, knitting, writing, planning, creating, organizing, designing and learning – and of course, sharing in food/drink. Drawing from hundreds of examples of cafe community gathering hubs across our own city, Hamilton (A coffee shop for every mood) or Toronto (Top 10 Places to work or study in Toronto), or New York City (The Best Coffee Shops for getting work done), we created a classroom space with similar characteristics. 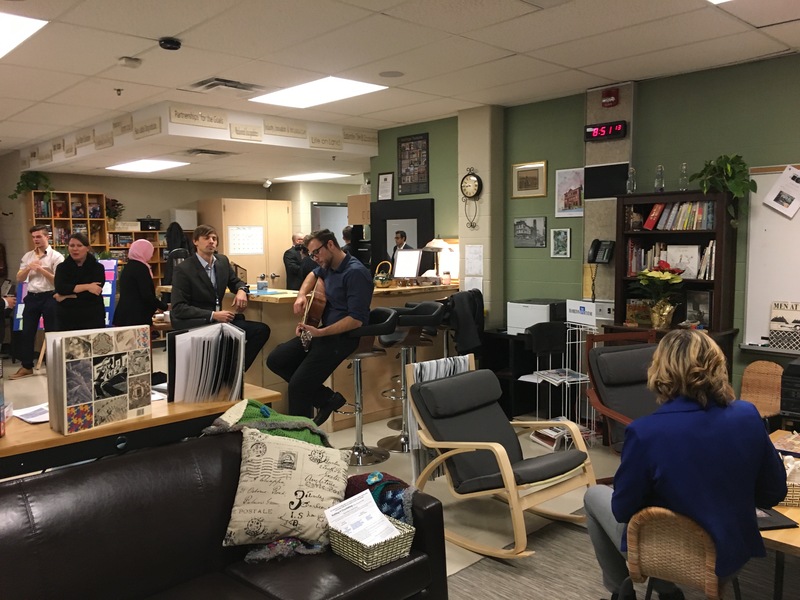 Can you imagine a learning space where nature, music, art and literature are infused in the design of the STE-A-M focused room? 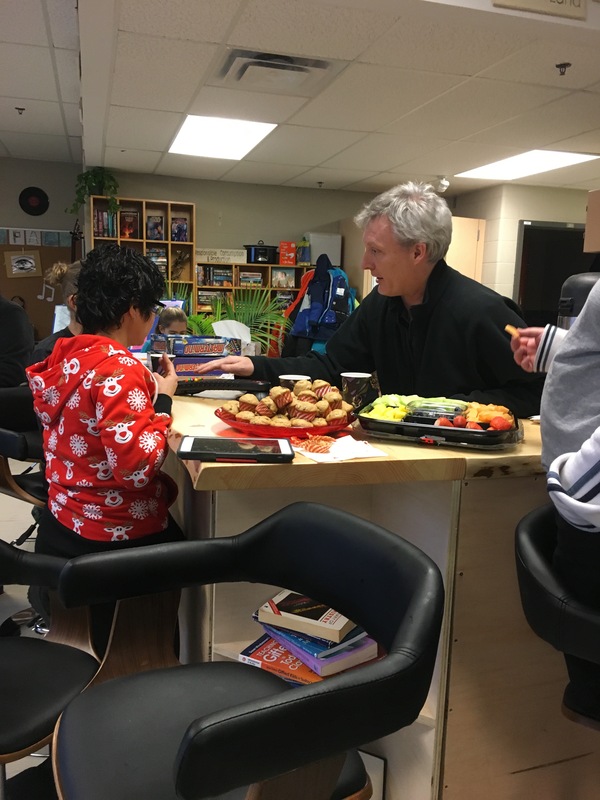 A space that celebrates community through nutritious food prepared each day by students who gather at a cafe bar or surround a kitchen table and prompted by deep discussions of innovation and creativity? A space for people of all ages? A place where tea is served at the start and end of each day in beautiful porcelain cups – where there are no bells or specific transitions and subjects are infused through Big Ideas or Themes? The importance of the environment lies in the belief that children can best create meaning and make sense of their world through environments which support “complex, varied, sustained, and changing relationships between people, the world of experience, ideas and the many ways of expressing ideas.” (Cadwell, 1997). “Bringing Reggio Emilia home:An innovative approach to early childhood education.”. 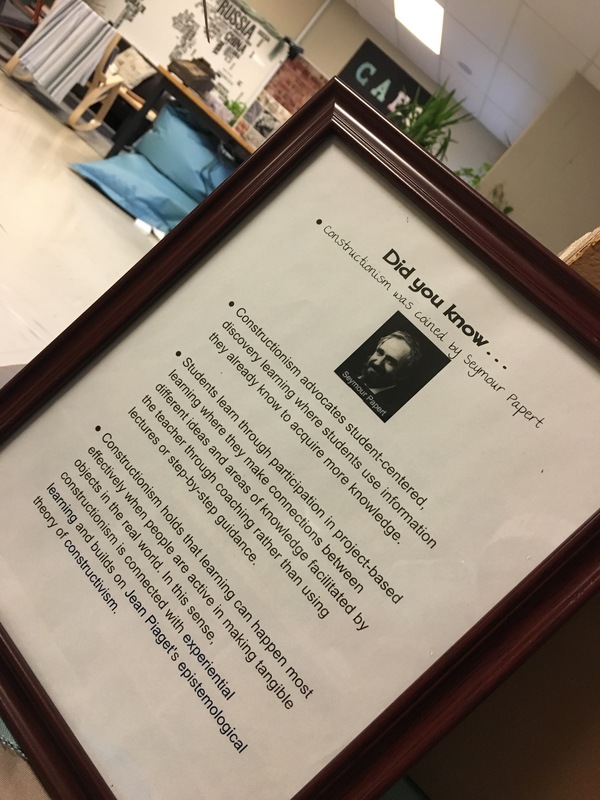 The constructionist teacher takes on a mediational role rather than adopting an instructional role. Teaching “at” students is replaced by assisting them to understand—and help one another to understand—problems in a hands-on way. 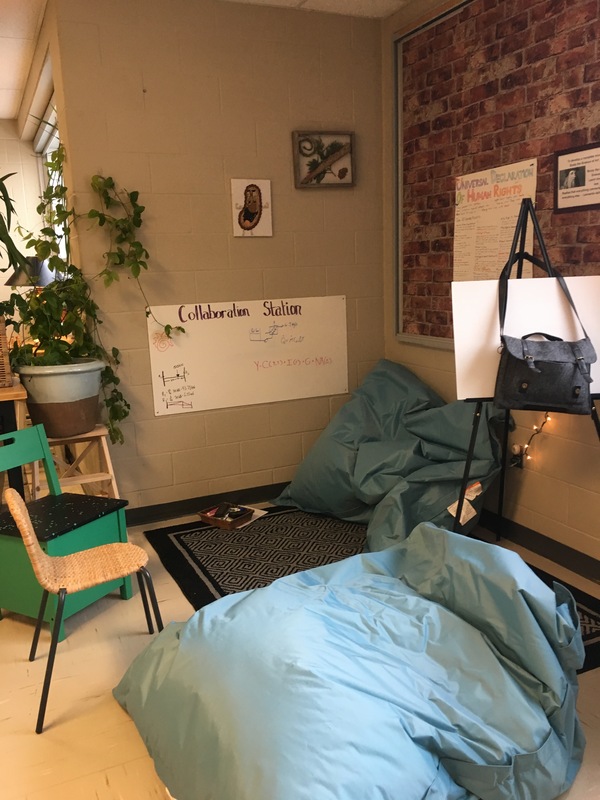 The HWDSB Gifted Program partnered with a team of Undergraduate Students from McMaster University in a Design Thinking Project with the goal to create a learning space inspired by both Reggio and Papert. Thank you to Lee Wood Company, James Street North for the donation of the beautiful, custom, hand crafted bar top. This area will provide a wonderful opportunity for students, teachers, mentors and leaders to gather, talk, celebration and build innovative and creative ideas. 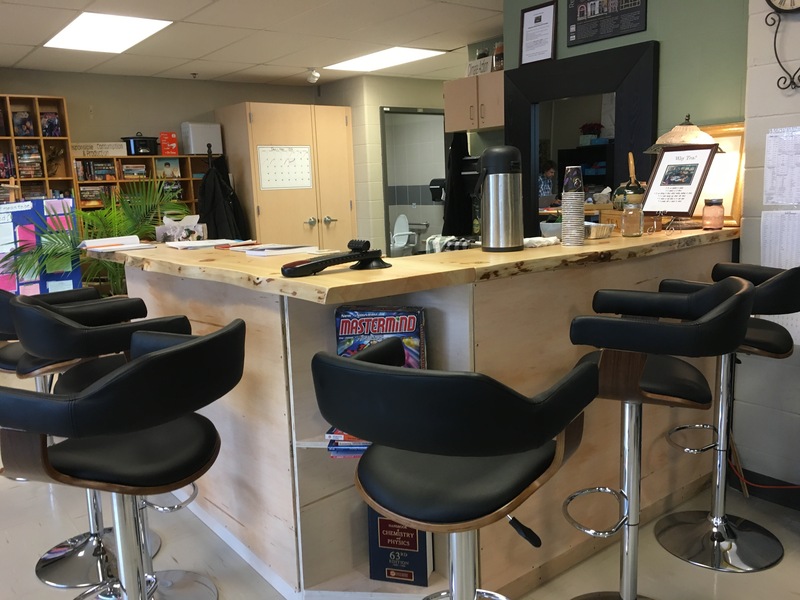 The “Bar” area replaces the teachers desk. There is enough seating for 15 students to surround the bar. The teacher or student can be in front or behind the bar area to facilitate discussion. There is a large collection of plants, herbs and sprouts in the classroom. 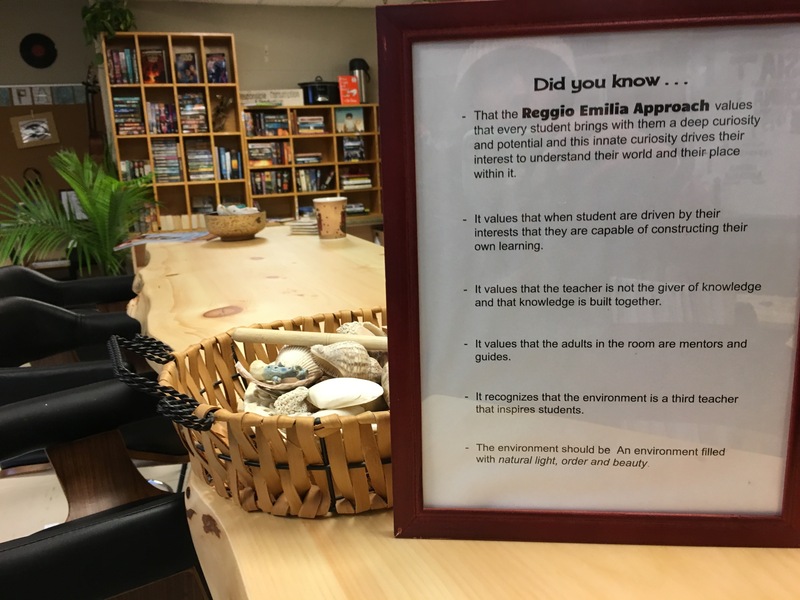 Growing plants in the classroom connects students to nature, to outdoors, to the world around them. Plants clean the air, teach students about sustainability and allow students to observe and document natural patterns. “Parents are a vital component to the Reggio Emilia philosophy. Parents are viewed as partners, collaborators and advocates for their children. 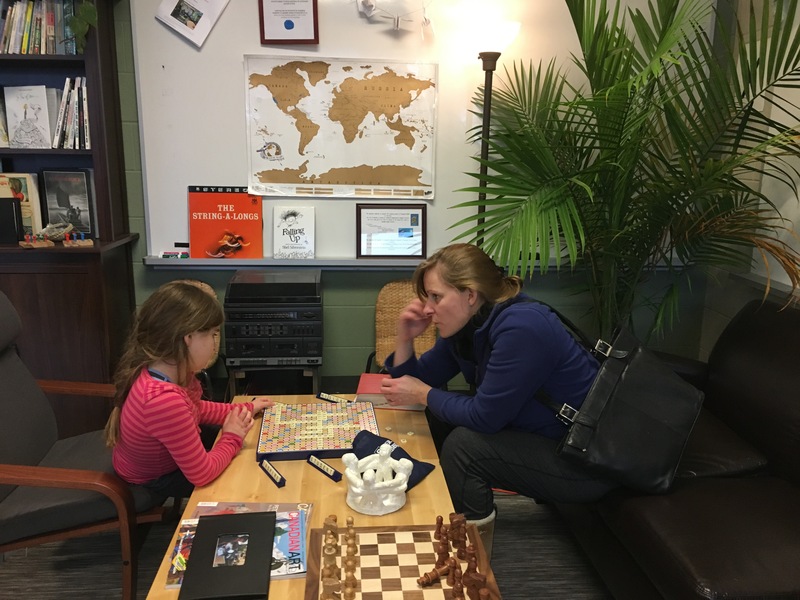 Teachers respect parents as each child’s first teacher and involve parents in every aspect of the curriculum. 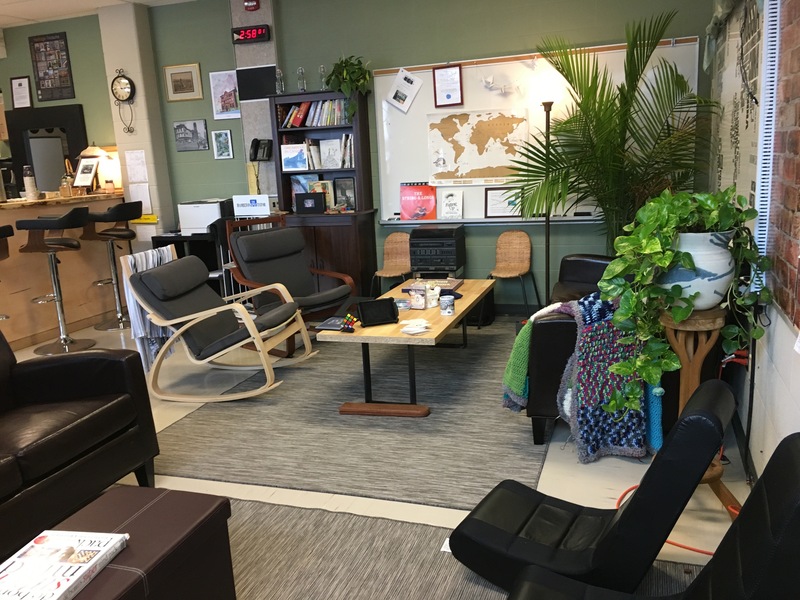 Our doors are open and community (Teachers, Parents, leaders) are welcome to join us, have a tea and use our space. Where there was once just a window sill, we added another bar top and stools. The natural light and city scape provides an amazing escape – a place to immerse into ART, listen to music, write poetry or simple sit and “people watch”. Music is spread across the room. A piano, keyboard, computers for composing and of course guitars for “jamming”. 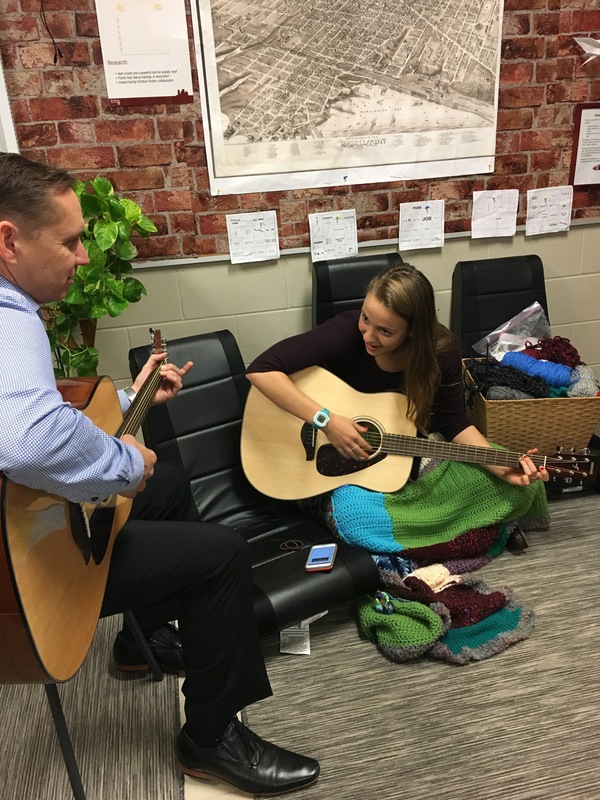 Anyone can play or create ANYTIME. We got rid of student desks. Natural collaboration spaces were created to emulate a living room. A safe place where family gathers. A place where people can be in a collective but be in their own zone – reading, drawing, knitting, planning, designing or wondering. There are enough PLUGS/OUTLETS for 20 computers in this area. An area was created to “do”. 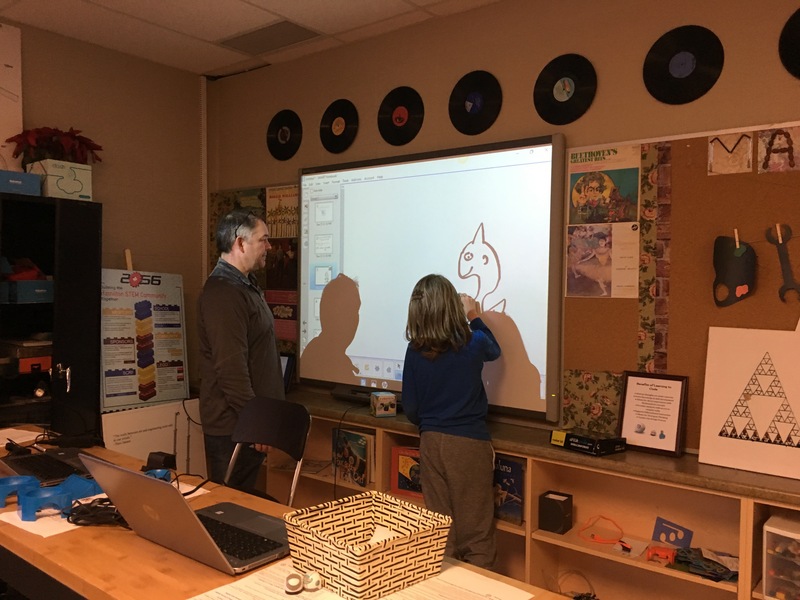 Students can use the Interactive Whiteboard to showcase their designs, collaborate on ideas, or mentor one another, whether it be about Coding the Robotics, Programming Arduino sets or building in Minecraft. 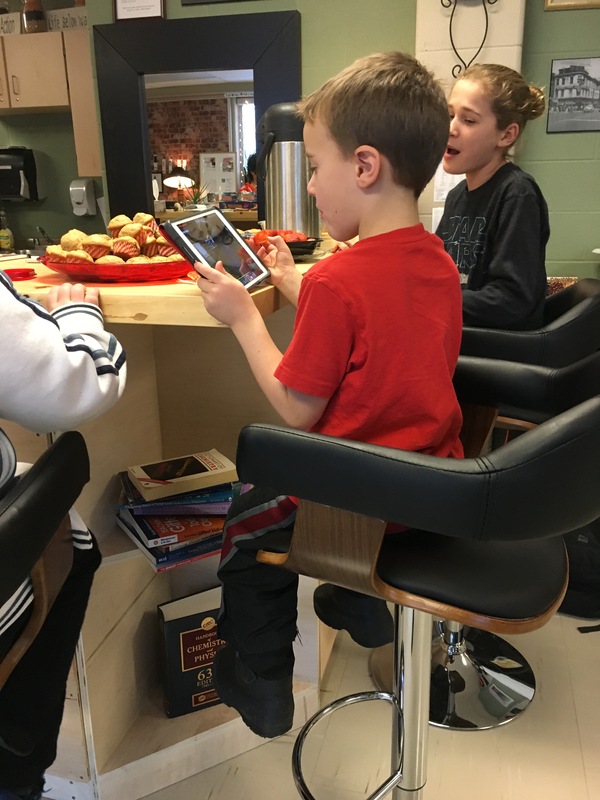 There is flexible seating that can be moved or changed depending on the needs of the individual. This area is for small groups to code/program and engage in DESIGN challenges. A great spot to engage in ROBOTICS! 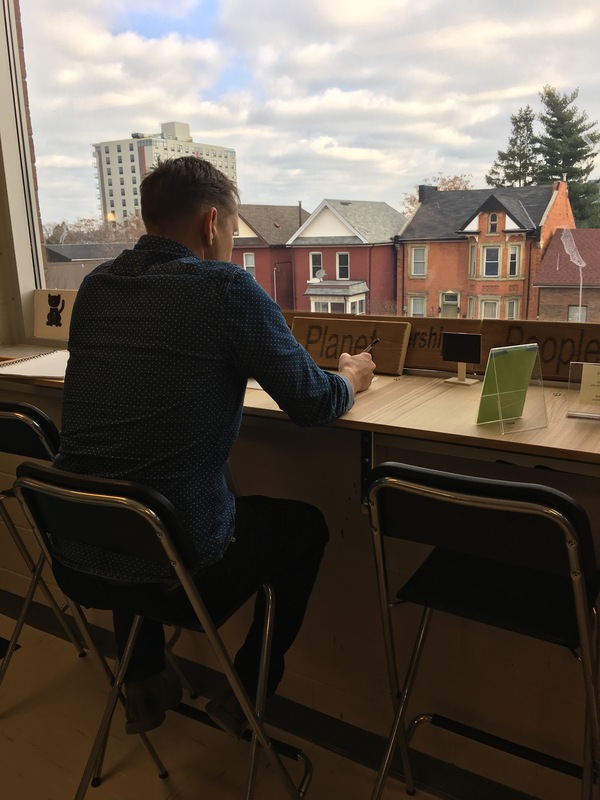 We hope that our experiences in this learning space can serve as examples and models to others wishing to move in this direction. 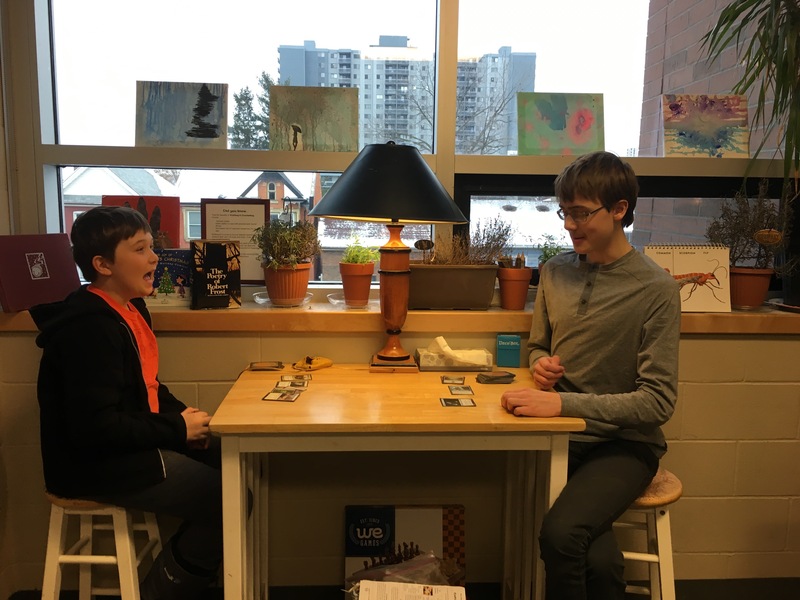 We believe that students can be self-directed when provided with the right learning conditions, including an environment that is natural, organic and is designed in a way that builds relationships and community. Reggio teachers provide children different avenues for thinking, revising, constructing, negotiating, developing and symbolically expressing their thoughts and feelings. The goal is for the adults and children to better understand one another “North American Reggio Emilia Alliance”. Retrieved 9 April 2013.